Author and retired English professor Annie Dawid, recently chose this chapter, "She Turned Visions Into Realities," as first-place winner of the Essay/Nonfiction catagory in the Denver Woman's Press Club In-house Contest. The chapter tells the story of Susan LaFlesche Picotte, who became the first Indian woman doctor. Dawid says, "Beautiful work, and a story that needs to be told, now." Chapter Nine tells the story of this Delaware woman who spoke for the women of the world. Chapter Ten: The mother of Southern Cheyenne Mary Little Bear Inkanish told her she was "a Cheyenne and not a Cheyenne." As a teenager, she rejected her Cheyenne heritage. But as she aged, she grew more and more Cheyenne. Chapter Five: Mowhawk E. Pauline Johnson captures hearts with her poetry on the Chatauqua circuit. "In this fascinating collection of biographical sketches, writer Nancy Peterson profiles 11 women of mixed Native American and Eurpoean ancestry.. . .These readable stories explore the complexities of these women's lives. . . And yet the tone of the book is not tragic. . . .(they) used tools whites had provided to help their people. . .and walked strong and tall." 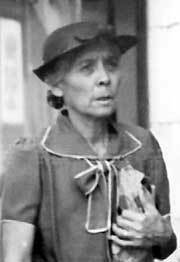 Susette LaFlesche, born into the Omaha nation in 1854, may have had dim memories of being welcomed into the fellowship of her people as she passed from babyhood and took on her own unique personality. The tribe had embraced each child with this rite as long as anyone could remember. The people faced a future that looked to be a drastic change from their past years on the west side of the Missouri River in country the whites had named Nebraska Territory. But the old ways were their anchor in a vastly confusing world. It would have been in the greening spring, after the meadow lark had begun to sing, that children who had reached the age of three or four years came with their parents to the Sacred Tent where the priest waited. Introduced at the wide tent door by her mother, barefoot and carrying her new moccasins, Susette would have been led in alone to the central fire, where the priest sang an invocation to the winds and lifted her so that she stood on a stone, the symbol for long life on earth. Turning her to face each of the four directions, he sang of the strength she would gain by facing the varied winds of life, strength that would enable her to live long and well. Then as he placed the new moccasins on her small feet, he announced to the hills, grasses, trees, creeping things and assembled people that this child had thrown away her baby name. From now on she would be known as Inshta Theamba, the words describing the shining, black bright eyes with which she observed the world. None present could have dreamed this small girl's name would someday be known throughout the United States. 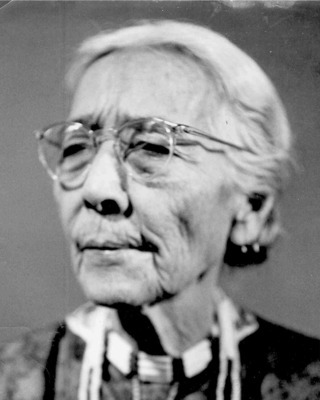 . .
(Susette) had never had a strong constitution and with her health increasingly fragile, (the couple) moved back to the reservation in 1902 and continued to write from there. She was happier there, close to her sisters. Susan was doctor for the reservation and Marguerite was a teacher and former-field matron. Her family's tolerance for (her husband) T.H. was always strained. Susette thought more and more often of the world her people had lost. Watching them now, she knew many of them either leased or had sold off the allotments she and others had worked so hard to obtain. Many were sunk in alcohol and apathy. She wondered if walking the white man's road had gained them anything worth having. A once-prosperous people was impoverished and degraded. She was glad her father was not there to see it. On the day she had received her name, the priest had tried to prepare her to face the varied winds of life; they had blown inconceivably strong, from alien directions. She had done what she could. It had seemed right at the time. Yet, she remembered a young Omaha lawyer who had recently told her she had inspired him to get a law degree and work for their people. 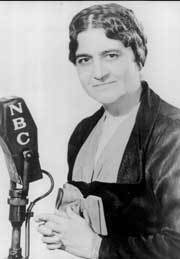 She thought of (her brother) Frank, absorbed in his research with Alice Fletcher to prepare a comprehensive Omaha history that would preserve the rituals that seemed more and more important. She thought of the bright, inquiring minds of her nieces and nephews, and of the many young people now in school. Although there would be many hard years to come, she was leaving the heritage of her people in capable, caring hands. She died on May 26, 1903, at age 49. Susette's crusade for her people had brought her national celebrity which offered only fleeting satisfaction, but she had helped awaken the conscience of a wider world and set in motion reforms designed to help all Indian people. "Nancy M. Peterson. . .turns her considerable story-telling talents to the lives of mixed-blood - or half-breed, as they used to be called - women. Using a narrative style, she concentrates on (11) women who made a difference, primarily to the Indian side of their families." 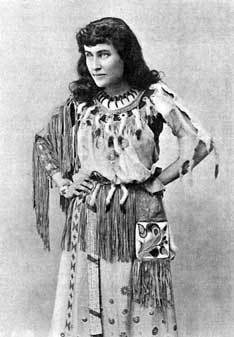 On July 30, 1907, when the Chautauqua's audience in Boulder, Colorado, gave warm applause to the performer headlined as "Tekahionwake, the Indian Princess" they had no idea what grit and stamina her small buckskin-clad figure contained. She had possessed remarkable beauty when she was younger; even now, with a fuller form and rounder face, hers was a striking, commanding presence on the stage. And as her rich melodious voice reached even those seated at the back of the large wooden auditorium, they would have been surprised it had not its usual strength. For the past nine days she had scarcely spoken because of a severe chill caught in a wet, steamy Chautauqua tent during a Missouri thunderstorm the week before. It was a catastrophic event for a woman who made her living with her voice. E. Pauline Johnson was still not completely well, but she could not afford to miss another performance and she gave the Colorado crowd all the vibrancy she could summon. The annual Boulder Chautauqua was nearing the end of its ambitious six-week schedule. The series of educational and cultural performances was both an intellectual and social highlight of each year, as it was in 400 or more communities across the country. The Boulder Chautauqua Assembly was unusually strong, and members were proud their performers had appeared in a substantial two-story building for nine years now. In 1907, Boulder crowds watched magicians, listened to bell ringers, marveled at the balance of a young man called an equilibrist, and listened to professorial addresses on Mattthew Arnold and Sir Walter Scott. But what Pauline Johnson offered was unique. She was a gifted writer and the poems she recited were her own, celebrating her Mohawk heritage and decrying the damage that had been visited on native peoples. Tired near to death as she was, feeling every one of her 46 years and the toil of a month on the Chautauqua circuit, with two performances many days, riding the train every day to a different town, she had to reach deep inside to find the fire to ignite her words with feeling. Colorado author Nancy M. Peterson tells the stories of a number of 19th centry women who had their feet in two worlds. Jane Johnston Schoolcraft, Susette LaFlesche Tibbles and her sister Susan LaFlesche Picotte, Helen P. Clark, Annie Lowry, Susan Bordeaux Bettelyoun, and others are the subjects in this solidly researched, skillfully crafted book. The Denver Public Schools says of Walking in Two Worlds: In "this thoroughly researched book. . . the author never lets long lists of accomplishments and activities overshadow each woman's individual human struggle for identify and purpose. Recommended." "Much of Peterson's best material comes directly from the frsthand sources she has diligently uncovered. . . . The blend of Western higher education with knowledge of the communal bonds of tribal life made these women invaluable for more than just their literacy. They returned to their Indian communities as doctors administering tuberculosis vaccinations, as political activists working for Indian welfare, and as radio spokespeople disemminating Indian songs and stories over the airwaves. To the author's credit, she is able to relate their lives in a way that is both revealing and sympathetic.